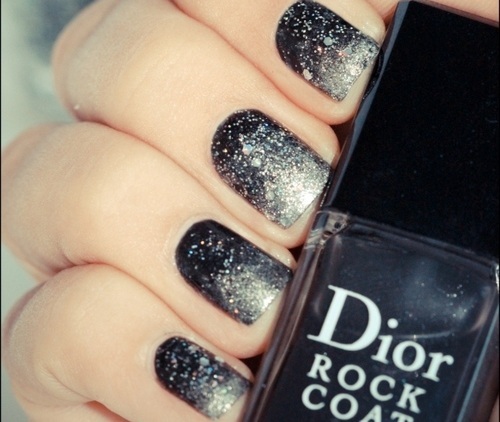 Looking for a pretty wintery manicure to try? Why not deck out your tips with gradient nail art? This pretty way to paint your nails will impress your peers and add a stylish touch to all of your outfits! What are you waiting for? Get painting! Note: Gradient nail art takes time so make sure you have 30 minuets to prep and perfect your manicure. While you paint your nails you should be patient. Perfecting the gradient nails does not happen instantly. The more you practice the better the results! 1. Lay out all the items you need. 2. Soak your hands in warm water to soften cuticles and prep nail beds for painting. 4. 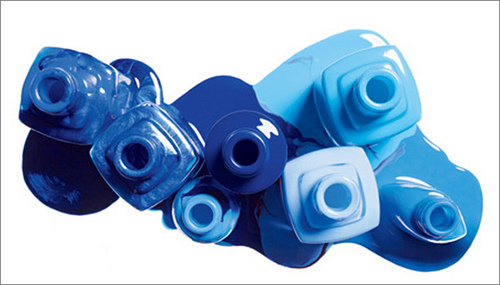 Paint your nails from the tip to the bottom using your lightest nail colour. To keep the polish looking smooth and even use only a thin layer of polish. 5. Use medium-colored nail polish and paint half your nail from the tip to the center. 6. Carefully use the flat edge of your orange stick (or popsicle stick) to blend the medium and light coloured polish together. 7. Paint the tip of your nails with your darkest nail color being diligent to keep your hand steady and secure. 8. Blend the dark and medium polishes together using your orange stick (or popsicle stick). 9. If you want to add a glittery finishing touch to your gradient nail art, paint over every nail with a sparkly nail polish. 10. Repeat this process on each of your nails, and before you know it, your tips will be looking lovely! wow! I am totally gonna try that!!!! It looks so cool! so gonna try that awesomweness!! you need patience and a lot of time!! dude i don't know why she's talking about a popsicle stick... you can use a sponge. sponges are way easier to use. Yes, i use a sponge. I tried it this way just now and I don't know how you can do this with an orange stick. What you think about this new sheer lacquers by american apparel? They're used to make gradients but since they're so expensive in my country, about 20 dls each, i decided i'd look for some other cheaper ways to get the same effect, and it turns out there's lots of tutorials on the net. Then, why get them at a price so high if you can diy. Or what is the difference? This looks pretty much the same stuff, anyone knows what's their benefit? Would you get them or you thinks it's a waste of money? I feel like it'd be a waste of money since you can diy and with any colors you want. wow :) this is perfect!!! The bottom using your lightest nail colour.http://dissertationplanet.com To keep the polish looking smooth and even use only a thin layer of polish. Very good points you wrote here..Great stuff..Passbeemedia Apple Ibeacon.I think you've made some truly interesting points.Keep up the good work.